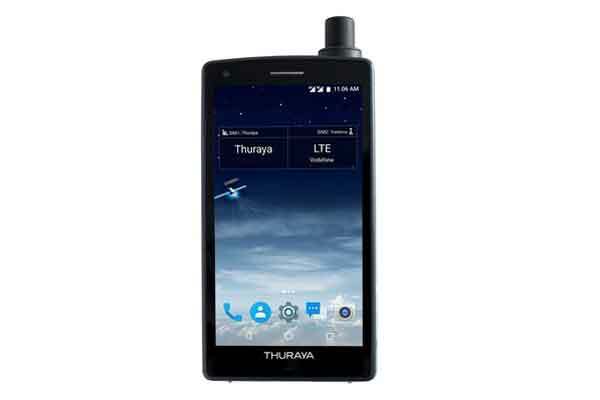 UAE-based Thuraya Telecommunications Company, a leading mobile satellite services (MSS) operator, has unveiled the world's first satellite smartphone during its partner conference in Dubai, UAE. The Thuraya X5-Touch runs on the Android Operating System and has a 5.2" full HD touchscreen, said a statement. It targets users who frequently move in and out of terrestrial coverage across a range of market sectors including government missions, energy projects, enterprise communications, and NGO deployments, it said. The phone offers fast and simple connectivity on the move, in remote areas normally beyond the reach of smartphones, it added. The Thuraya X5-Touch is a step closer towards complete convergence between terrestrial and satellite communications through its full dual-mode and dual-SIM capability. It has two SIM-card slots for full user flexibility, and with the dual-active mode it has the ability to have both its satellite and GSM (2G, 3G, or 4G) modes 'always on' simultaneously. To cater for the needs of users in harsh and remote conditions, the Thuraya X5-Touch comes with a Gorilla glass display, is the most rugged phone in the MSS industry with an IP67 standard for full dust and water protection, and complies with MIL standard. It also has a host of advanced features and functionalities including a high-capacity battery for extended talk time and standby time, a built-in SOS button and a front and rear camera. “Building on the heritage of a long line of successful satellite phones, the new development focusses primarily on delivering a unique and more interactive experience to our customers. With the Android platform there is already a multitude of apps readily available to work on the Thuraya X5-Touch, and developers will have easy access to develop and customise Apps for the needs of their customers,” he said. “It complements the 'Bring Your Own Application' (BYOA) concept, customers have the flexibility to download any app of their choice, thereby breaking the paradigm and revolutionizing the way the satellite handset will be used,” he added. The satellite smartphone is equipped with GPS, Glonass, and BeiDou systems for advanced navigation and tracking functions, which are important safety features during critical situations and it comes with Wi-Fi, Bluetooth, and NFC, it said.